Social media is a fact of modern life. It has evolved from something that teenagers use to discuss their crushes to become the pre-eminent means of communication for much of the global population. It can be used to raise awareness of the issues of the day and encourage people to come together to fight injustice and it can be used to distort facts and incite people to commit violent acts. There are corners of social media dedicated to any interest group you care to imagine (along with one or two you might prefer not to imagine) and it is now coming under scrutiny from those who feel that it needs some form of regulation. In spite of the headline-grabbing aspects of its shadier denizens, it is increasingly being used as a marketing tool for even the oldest established businesses…and not simply a marketing tool, with a Facebook eCommerce store, you can base your entire commercial presence on social media. So, can social media marketing benefit print shops? Yes. Very definitely. Print companies can actually make use of many different aspects of the different social media networks. Perhaps the most accessible network for a printer to try out is Instagram. Instagram is great for print shops because it is predominantly a place to post photos, so it makes an ideal showcase for a print shop’s products. You can get started very quickly and you don’t need to add too much text if you don’t want to. Upload some photos of your best work to an Instagram gallery and let the world see what you can do. Of course, as with every other social media network, there’s more to it than simply uploading a photo or two – the world will not be at your door just because you’ve opened an Instagram account. Social media marketing for print companies (or any other business, for that matter) does require time and effort, but it really is worth it. The generation that first grew up with social media is still using it and now so are their kids. This thing is not going away any time soon, so you will need to work with it. One way of doing that is by offering something of value to the people who view and, crucially, share your posts. If you’re selling custom print online, then this part is easy. You could run a competition of some sort – perhaps a caption competition for a design you’ve come up with – with a t-shirt supplied by you as the prize. When someone enters your competition, the entry will show up on their own social media account, to be seen by all their friends on the network, some of whom will hopefully be inspired to enter as well, passing your link on to their friends and so on. Not only has your site been passively viewed by a widening network of people, by interacting with your site and entering your competition, some of them have provided you with their email address – so you can now actively contact them. An email from you confirming their competition entry can helpfully give a quick outline of your products and services and include a discount off their first purchase from you. So now you have converted a casual browser of your Instagram page into a good prospect for future custom. This model can be used across a range of social media platforms – the basic idea is to attract someone to your brand, before converting them into a follower – someone who actively interacts with your brand by ‘liking’ your social media page or entering a competition – and finally persuading them to become an actual customer. Of course, the approach will be different for different platforms. Photo-based networks like Instagram may be more in the natural comfort zone for printers than the largely text-based platforms of twitter and Facebook but these need to be made use of as well. You don’t have to write too much, if you are not comfortable doing so and it’s also possible to connect your social media accounts so that you can upload the same post to all of them. With a little practice, creating social media posts will become easier, which is important because you should try to do it as often as possible – at least every other day. If you’re worried that you won’t find enough news about your business to turn into social media posts on a regular enough basis, don’t despair – in fact, you shouldn’t even try. Whilst the purpose of your social media presence is certainly to promote your business, it needs to be more subtle than a continuous stream of advertising. Your best chance of getting social media users to engage with your brand is by uploading engaging and interesting posts, not trying to give them a hard sell. As a general rule, aim for an 80/20 split between general posts and promotional posts. General posts can cover a range of different topics. If you are comfortable doing so, you can try writing on personal (obviously not TOO personal) topics, so long as they’re likely to be of interest to your followers and potential customers. Bear in mind that if you’re going to refer to family and friends in these posts, you should make sure that they’re comfortable with this. Perhaps the ideal personal topic to work into social media posts is a pet cat or dog – especially if they’re a shop pet, who’s known to customers and often to be found asleep in amusing and photogenic poses around the shop. You can even use your faithful friend to cheat a bit on the 80/20 rule and show them modelling a promotional baseball cap! Since most print shops don’t have a furry brand ambassador, you’ll probably need to find other subjects for your social media posts. If your business has close ties to the local community and still has a mainly local customer base, then that’s an ideal starting point. Show your caring side by writing about the issues that affect real people in your area. If your business has moved online and your customers are spread across the globe, you can still write about local issues to some extent but try to stick to the topics that will resonate with people everywhere, rather than focusing on local places and personalities that won’t mean much to people from elsewhere. In general, it’s always best to avoid overtly political or religious posts and there are only really a very few exceptions to that rule. If your business is involved in charity fundraising that’s organised by your place of worship, then it should be fine to post about that but your business social media page is a dangerous place to make any statement of belief or conviction, as you will need to deal with what other people have to say on the matter. You may be able to delete posts but this, in itself, can be a controversial act and you might find yourself struggling to deal with the fallout from what was intended as an honest and sincere statement. Customers can be a good source of inspiration for social media posts – even the non-promotional posts. If you sell custom printed t-shirts online, keep an eye out for customers who are printing shirts for good causes. You could email them to ask if they would like to create a post on their cause for your social media page – not only do you increase customer good will, you also effectively outsource the job of writing one of your social media posts! If your customers are local businesses, you could also ask them to get involved in your social media presence. You will probably need to ‘like’ their pages, in return for the same favour but you might get the chance to create some fun photo posts of workers modelling their newly printed uniforms or other apparel. If you are really struggling to come up with original posts for your social media pages, then you can sprinkle a few shared posts in amongst the original ones. This should really only be used as a back up plan, since your customers will be more engaged with your brand if they are looking at unique content that creates a connection between you and them, rather than something that could have appeared on their feed several times already. However, if you find that there’s really no way that you can come up with new content and your social media page is in danger of going quiet, then shared content may be better than nothing at all. Try to make it something that’s relevant to your business and your brand ethics and, if possible, something that won’t be popping up on everyone else’s pages. Regardless of which platform you are using, it should go without saying that you need to try to include photos of the work that you’re really proud of. It’s worth taking care over your photography and making sure that the images you upload do your work justice. You may want your social media posts to look relaxed and casual but you should always remember that this is a major part of your marketing effort and your photos should be well thought out and should show off your work to best effect. Make sure that the print design is clearly visible and well lit and that the colours in the photo look right. If you’ve got the skills and confidence (and agreement from any participants) to include videos on your social media, then this is a great way of introducing your business to the world in a friendly and approachable way…so long as your folks are friendly and approachable, that is! A video tour of the print shop, showing happy staff waving at the camera as they go about their business may sound like something out of a Disney cartoon (they don’t have to whistle while they work) but it’s a great way of engaging with your potential customers and making them feel warmly disposed towards your brand and business. Another potential source of video material is any local events that use your work. So, if you’ve printed shirts for the little league baseball team, then ask around to see if the parents have shot any good video from a match – you can showcase your product and support the local kids at the same time, which is a promotional home run. A video camera could provide you with lots of opportunities to create engaging social media content with minimum effort. If you’ve printed fliers for an animal shelter, why not drop them off in person and ask if you can take a video of the animals in need of rehoming? When you upload them to your social media pages, you raise awareness of the shelter, possibly help an animal find a new home and highlight your brand’s caring and ethical nature at the same time – everyone wins. With a bit of planning, social media marketing shouldn’t be a burden and, compared to the cost of many traditional marketing methods, it’s highly cost-effective. If you need advice on how to craft a social media marketing plan to make the most of this important tool, there are web marketing advisors who can help you. Ideally, you should use a marketing specialist who also has a specialized knowledge of the printing industry. Web2ink is a web design and marketing company with roots in the print business. We can give you the benefit of our experience in both the print shop and the online world, to help you build your brand in an ever expanding global marketplace. 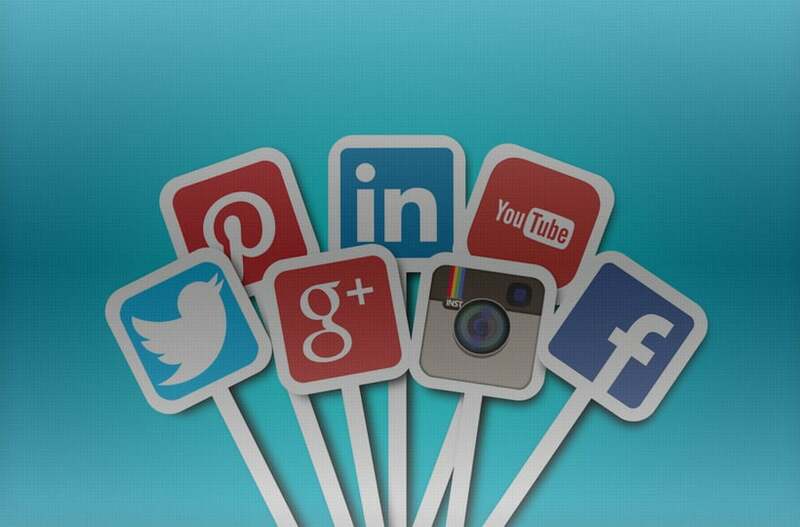 Check out this blog from adespresso for some great tips on social media marketing. Next: Next post: Optimizing Your Site For Mobile.